RAWALPINDI, (UrduPoint / Pakistan Point News - 17th Apr, 2019 ) :The Dolphin Force Rawalpindi in its efforts to control street crimes managed to net 11 criminals for their alleged involvement in street crimes, 28 for carrying weapons and several drug peddlers besides recovering illegal weapons, drugs and liquor from their possession. According to a police spokesman, the Force conducted raids in different city areas and recovered 37 pistols, a gun 12 bore, one semi-automatic pistol, 300 rounds, , 397 liters liquor, 13 kg charras, 405 grams opium and 25 grams crystal ice from the possession of arrested accused during last three months. He said that the force nabbed a Proclaimed Offender and a court absconder besides arresting three drunkards. The spokesman informed that the arrested accused had confessed their involvement in several crimes, adding, the Dolphin Force also recovered Rs 32,000 cash from the possession of the street criminals. The Dolphin Force personnel checked thousands of vehicles and motorcycles during its snap checking and impounded several vehicles and 1300 motorcycles in different police stations for not having proper documents and displaying improper number plates. A stolen vehicle was also recovered, he said. 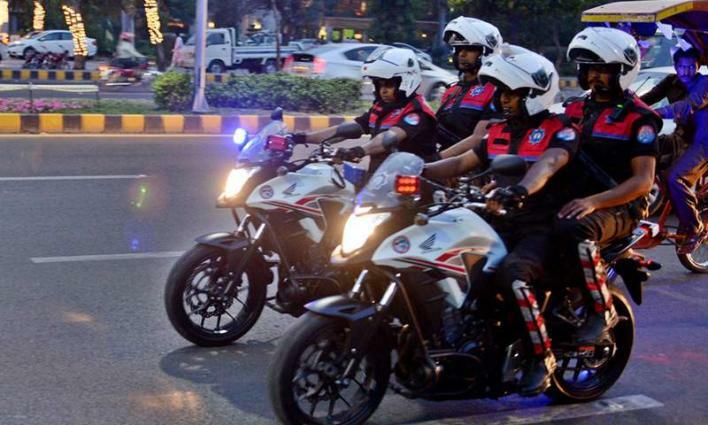 The Dolphin Force formed to guard the lives and property of the citizens was also playing an important role to curb the street crimes, he added.